Also, I read that it’s best to immerse the ashes in water so that he won’t be harmed by ghosts that wants to gain control of the ashes. Finally, I made a decision. I knew what to do. I want to set him free. 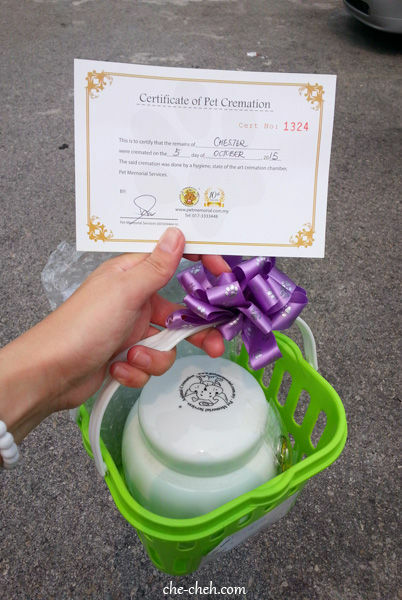 Yesterday Saturday, we collected the urn containing Chester’s ashes from the pet hospital in PJ. I was brave. Didn’t shed any tears when I was there. On the way to the car, I told Chester that we’re bringing him to the sea. We brought him to Batu Laut beach at Tanjung Sepat. 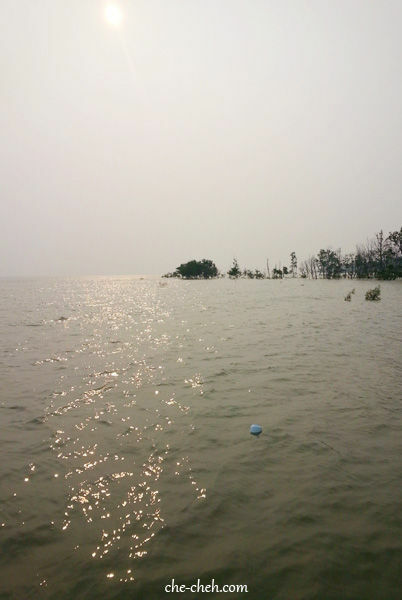 It’s located about 10km from Morib beach. I found out about this Batu Laut beach when I had dinner at Asam Batu Laut Restaurant two years back. 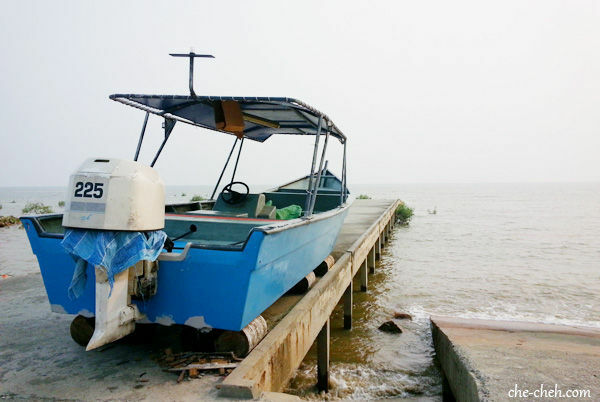 It’s located just a short distance away after Asam Batu Laut Restaurant. This Batu Laut beach is much less populated than Morib beach which make the scattering of ashes easier. Around 5pm, 10 October 2015 at Batu Laut beach with the setting sun at the horizon, I opened the urn that contains Chester’s ashes. I was shocked. The ashes were almost full to the brim with a couples of his bones. I wore a pair of rubber gloves and proceed to scattering Chester’s ashes in the sea. In my crying voice, I told him to have fun swimming in the sea and when he have enough fun, go on and reborn. Be a good person. I also thanked him for being with our family for 12 years. When all the ashes have found its way in the sea, I immersed the urn in water to clean any remaining ashes. Then I set the urn on the sea and see it floats away. Hi! I’m hamnin1027 from Instagram. I read this page. I know you spend so hard time. And also know how much you love him. He must be happy with you. Hi Hamnin, Thank you so much for dropping by here. Greatly appreciate your care and sympathy. We all love our dogs, don’t we? You too take care. Hi Benny, Thanks for being a fan of Chester. He was so lucky to have you all who adores him. tata Chester, surely you will be missed, handsome! Hi Keeyit, Thanks and hugs. This is very interesting! I didn’t know that the ashes are best scattered in the sea! No wonder some people want their ashes scattered in the ocean and not kept in the memorial. The part about the ghosts taking control of the departed soul sounds creepy to me. Ya me neither until I look into it.